One of the closest Lodges to the Waterfront,as well as being located only 300m from the brand new Cape Town stadium.The Big Blue is a spacious (and we mean spacious) place. Thanks to its generous proportions, social and sleeping areas don't overlap so party animals and slumberers alike can find their own balance. When you're not checking out Cape Town's night life (which we know you will), knock back a few drinks at the bar and glean some handy travel tips. We'll pick you up free of charge (24 hrs. per day, 7 days per week) from the airport. a minimum stay of 3 consecutive nights in a dorm or 3 cosecutive nights in a double for FREE pick-up.Broken stays DO NOT qualify. If Your stay does not qualify You for the FREE pick-up, we will be happy to arrange an Airport shuttle at Backpacker Prices on your behalf. Trips to the airport are for your account, reception will book on your behalf. 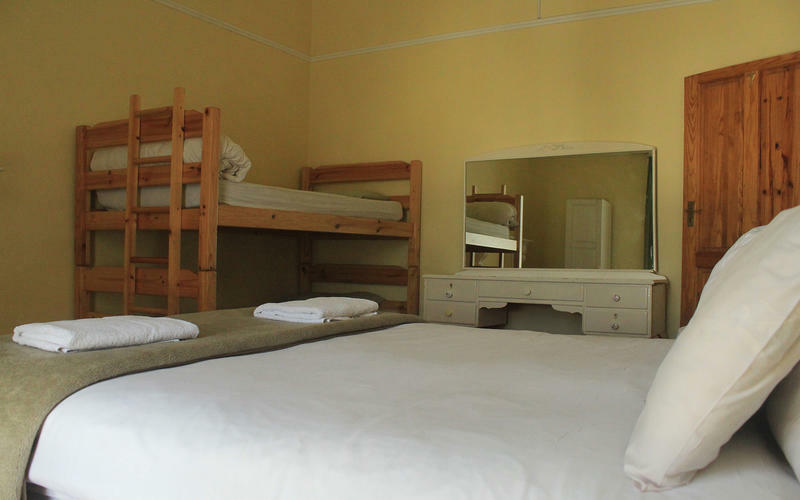 Being one of the bigger lodges in town, We have loads of en-suite Double's singles and doube private rooms with shared bathrooms not to mention our dorms. 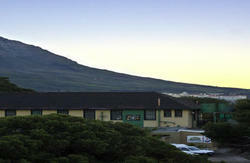 a 2 min walk to local resturants and pubs and the beaches of Clifton and Camps bay are in safe walking distance. We have our own ATM in house. 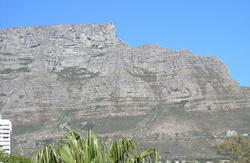 Winelands tours....................as well as many other fun and exciting activities. We also welcome Interns in the hospitality industry with pleasure,feel free to contact us.